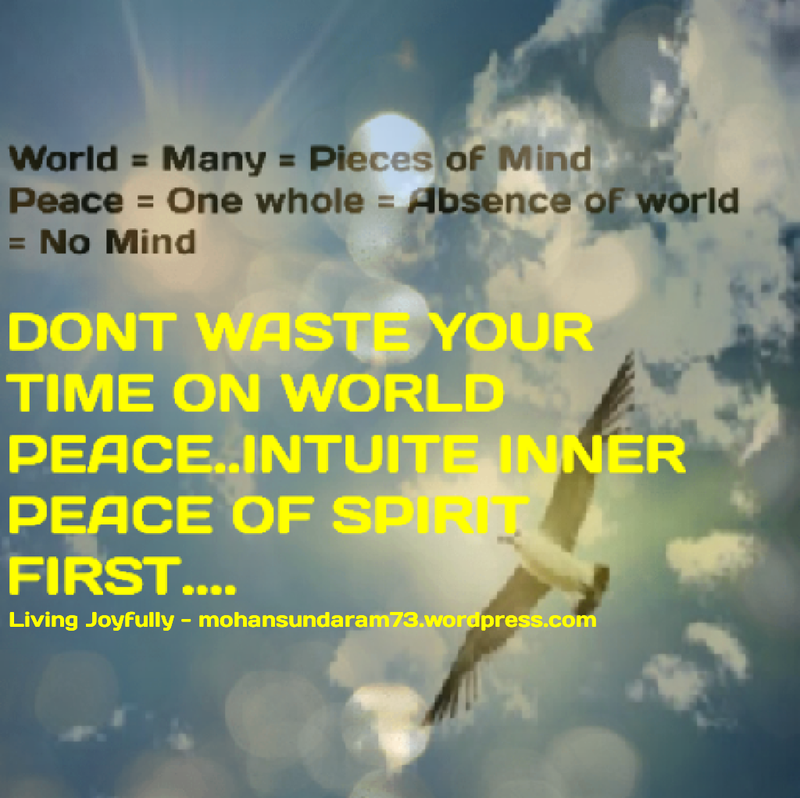 Don’t waste precious time looking for peace outside! Outside is pieces of mind brought about by thinking! When you meditate deeply you can in full alertness watch the world vanish and know all the time that your the witness..the eternal immortal principle of life…. Truth is not to be achieved! It is to be intuited! You don’t need to seal you lips to be silent! When thoughts rise remind yourself how can I be the thought or the thinker..i am aware of these and as you think along these lines you will INTUIT your oneness with that silent witness behind the thoughts..and the more frequently you do this you let go of identifying with thoughts and merge back into your immortal reality!